Price Beat for Over 25s at Woolworths Car Insurance If you are aged 25 or over, Woolworths Car Insurance can guarantee to beat any comparable Comprehensive renewal notice! Comprehensive Car Insurance for Part-Time Drivers Available at Woolworths Car Insurance Check out the drive less pay less scheme at Woolworths Car Insurance which is perfect for part-time drivers! Roadside Assistance for an Additional $7.70 a Month at Woolworths Car Insurance For just an additional cost of $7.70 a month, you can enjoy roadside assistance. 24 Hour Emergency Claims at Woolworths Car Insurance With Woolworths Car Insurance, you can enjoy 24 hour emergency claims. New for Old Replacement of your Car within the First 24 Months at Woolworths Car Insurance With Woolworths Car Insurance, you can enjoy a new for old replacement on your car within the first 24 months! Up to $3000 Damage Cover with Uninsured Motorist Extension Benefit at Woolworths Car Insurance With the Woolworths Car Insurance Third Party Property Damage Cover, you can be covered for up to $3000! Woolworths has been a trusted and loved brand on these shores since it opened its first store in 1924. Today, aside from selling just about everything you can think of in its supermarkets, you can get fuel, financial products and even insurance services, of which its car insurance is a particular strong point. You can select from tailor made insurance products that best suit your needs: its Third Party Property Damage is the no-frills option; Third Party Property, Fire and Theft is the next level up and can help if your car is stolen as well as covering your valuables and replacing your keys. Top of the heap is the Comprehensive cover that comes with a 24 hour emergency assistance helpline, new for old replacement and emergency travel and accommodation costs in certain cases. In short, there’s something for everyone. There’s even a car claims app that lets you take photos and immediately log details of an accident to streamline the process of making a claim. You can also enjoy all sorts of optional extras including windscreen cover and use of a hire car. In short, there’s very little that Woolworths Car Insurance can’t do! 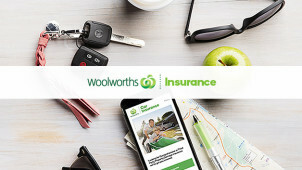 How do I use my Woolworths Car Insurance promo code? Woolworths Insurance promises to beat any quote you’ve gotten elsewhere if you’re over 25! How can I make changes to my Woolworths Car Insurance policy? The ‘My Insurance Portal’ will help you make any changes you need. Register for it here to get all the policies you need in one place. How do I make a claim with Woolworths Car Insurance? Call the claims team on 1300 10 1234, or download a claims form. More information on this is available on the help page here. How do I update my credit card or direct debit details with Woolworths Car Insurance? Contact Woolworths Car Insurance to help you through the process. Cancel your policy by contacting Woolworths. If you have not made a claim and you have paid the premium in full, you’ll be refunded the portion of the premium that relates to the remainder of the period less any amount unable to be refunded. A refund is not available on the monthly payment option. Call 1300 10 1234 between 8am - 8pm (AEST) Monday to Friday and 9am- 5pm (AEST) Saturday and Sunday (except public holidays). Owning a car can be an expensive business, but with great value insurance from Woolworths, you’ll find this is one aspect you won’t be paying through the nose for. Use a Woolworths Car Insurance promo code from vouchercloud and you could save on your quote, leaving you with more to spend on the things you love. With a variety of options you can tailor to suit you, you’ll get great value cover without the hassle! There are loads of handy features at Woolworths that’ll help you to save money on your insurance. Its Drive Less Pay Less option could cut the cost of your cover if you’re not on the road that much and opting for a higher excess could lower your premiums. With 3 different levels of cover to choose from, your insurance can be as fancy or light touch as you want, meaning you could save more in your pocket than you’d think. If you don’t fancy getting comprehensive cover, we’d highly recommend Third Party Property Damage Cover that’ll ensure you’re insured for any trouble with another person’s vehicle. Buy with a Woolworths Car Insurance discount code from vouchercloud and you’ll certainly feel the benefit of this brilliant value option. There are plenty of features too, including cover for anyone legally driving your car and damage to you caused by uninsured drivers. Get it sorted today!